You might not know this about me but I looooooove Nisekoi! It’s one of the funniest manga I’ve read and Shaft did a great job with the adaptation, and it was just as fun to watch the second time around. Part Two continues from where Part One left off and so we’d been fully introduced to hitwoman Tsugumi who’s desperate to protect Chitoge from Raku who she deems a threat, but it’s now when the bouncy and determined Marika makes an appearance! She, like Chitoge and Onodera, made a promise ten years ago with a boy who could be Raku and she’s planned to marry Raku already, making the other girls fret because, they too, know that Marika is amazing. With the entire cast of season one now together, things are funnier than ever. Part Two sees the cast head off to the beach and participate in their school’s festival by hosting a rendition of a very famous story – Romeo and Juliet. With Raku cast as Romeo and Onodera cast opposite him, Chitoge finds herself becoming jealous of how Raku gives Onodera far more attention than she herself receives. I adore this arc and found it hilarious, and it gave way for a fair bit of character development which Nisekoi isn’t best known for but, fortunately, its characters are great and they liven up any scenario. As a fan of beach episodes and festivals too, I’m happy to see both make an appearance here with the full season one cast present. 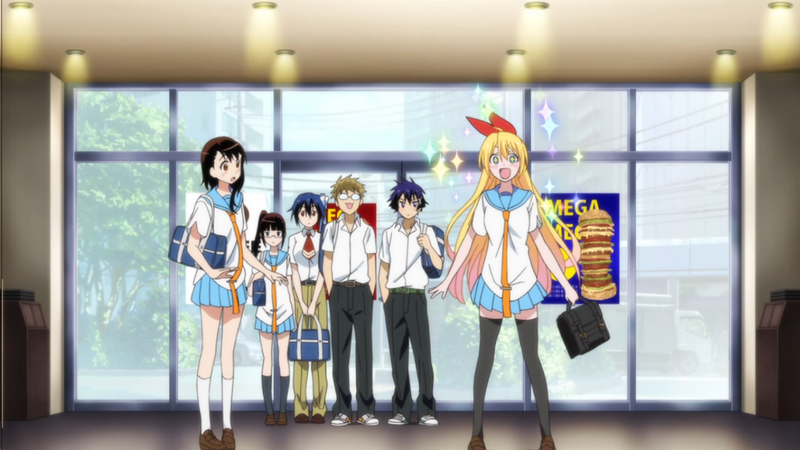 It’s always been clear that studio Shaft put all their money into the Monogatari series but Nisekoi manages to match that (even if season two doesn’t quite so much), and it looks so beautiful because of it. The home release has some odd changes when it comes to scenery that’s been changed and it’s usually for the worse as some of the beautiful nature and structures Shaft created have been replaced by bright, sparkly lights – I get that these are relatively prominent in Nisekoi but I don’t see how this change improves anything, and having read the manga I feel that Shaft have a tendency to overdo it but it doesn’t have any negative impact on the actual release, and if you never watched it airing then you’d have no reason to be disappointed. I believe that Shaft are at their best when they’re adapting comedies like Nisekoi and Arakawa, and it allows them to use their unique style to bring out the best in them – they’re colourful and expressive, and everything is of such a high quality that it’s a shame that Shaft don’t adapt more comedies if they can be as good as Nisekoi. With so many locales available, it lets Shaft showcase their background imagery too which I find doesn’t have much impact in many of their other shows. Nisekoi was one anime I thought would be dubbed but alas, it’s not to be! 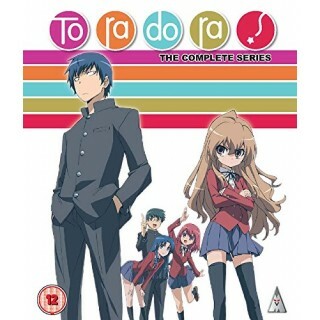 Featuring only the original Japanese voice-over which is already excellent, it’s finally done justice with this release where the subtitles are far better than they were with the first part of season one where the timing was truly horrible at times. Nisekoi has some of the best OP’s and ED’s around, of which there are many, and they have a permanent place on my phone. The OST in its entirety is a joy to listen to and it’s extremely hard to fault Shaft and their choice in music. If you’re a Nisekoi fan then you’re likely already sold on part two, and though I feel it should’ve released as a complete set rather than in two parts considering the season is only 20 episodes overall, I understand that that isn’t always possible. 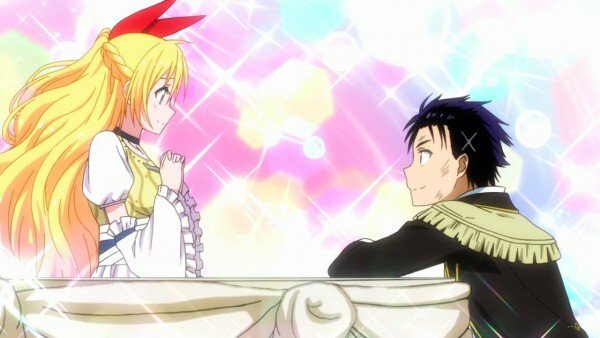 Nisekoi is an easy recommendation as one of the best comedies around, and although it’s easy to call it a harem, it’s not as fanservice-orientated as many harems are – I tend to avoid harems but absolutely adore Nisekoi, so it should say a lot about Nisekoi’s handling of things that don’t make it unbearable. If you choose to give Nisekoi a go, which you should, then I hope you enjoy it!